In the past few weeks, Carol and James Armstrong have been visiting the businesses of several CTHBA members who are donating products and service. Most recently, I joined the family for a trip to MVP Natural Stone on Daniel Island where they picked out their beautiful new granite kitchen countertops. They chose the Verde Naturale Benissimo, which you can see on the Carol’s Home blog at http://carolshome.info/. The granite is going to work nicely with the cabinets provided by Welcom. You can see the kitchen layout online as well. We can’t thank Tom at Concrete on Demand and Dennis at Dennis Coblentz Construction and their crews enough for their massive concrete donation. It’s been so much fun to watch it all happen on our new webcam. Make sure to check out the house construction live on our web blog at http://carolshome.info/. Our needs list is also posted online and includes boxes of nails, exterior and interior doors and interior trim. Please contact me at 572-1414 if you can help. There are some people who are the brains, brawn and heart behind this project and I would just like to say that we appreciate our core team of Jordy Tupper of G. Tupper III Construction, Steve Kendrick of Structures Building Company and Georgia Toney of BuilderPlanWorks. They have given so much time to this project and it has not gone unnoticed. Today we took a trip to MVP Natural Stone on Daniel Island to pick out the granite countertops for the kitchen. MVP’s President, Mark James was so helpful as Carol and James looked for the right color to match the cabinets. 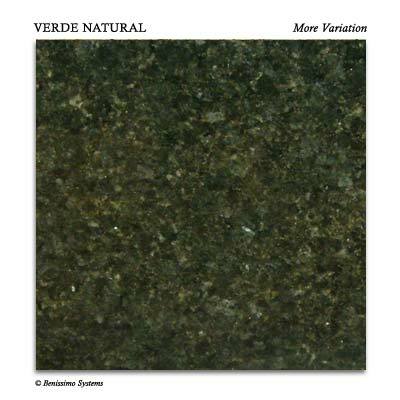 Take a look at their choice.. verde naturale. This week we appeared on Channel 4’s “Lowcountry Live” to talk about Carol’s Home. Carol and Cameron Powell from Schumacher Homes (our framer) did a great job telling the viewers about the project. We had one donation come in after the show and are hopeful that others will follow. We have another appearance next Tuesday, same time.. same place. At the site this week, we saw the plumber Jerry Vetter of Southway Plumbing out there working hard to get all of the pipes in the ground before the foundation is laid. He is just about done and we should see the concrete trucks in just a few days. Have a great weekend! Here is a sneek peak of what the Armstrongs’ kitchen will look like. Thank you to Welcom Cabinets and Whirlpool for providing a kitchen that Carol has full-access in. The big development this week is that we have the webcam up and running. A huge thank you to James Armstrong for making that happen. Yesterday, the Home Builders Association met with our site supervisor Jordy Tupper, building advisor Steve Kendrick and house designer, Georgia Toney to discuss upcoming details for the project. We now have the materials onsite that are needed to get the concrete foundation poured. The foundation should be set sometime next week. Some of the items we still need help with are: nails for framing (lots of them) and exterior doors and windows. We did pick up a garage door and electric opener this week from our member, Southeastern Garage Doors. We have also booked apperances for every other week on Channel 4’s “Lowcountry Live”. Each time we have appeared so far, we have received at least $1,000 in donations. So, this should be good for publicity. The all important Portable toilet has been delivered. Power has been rescheduled for 6/12, we had a technicality that was corrected today. The camera should be online shortly after that. We will be posting Friday updates from here on out to bring everyone up to speed on how the project is going. The CTHBA will also be meeting weekly with our site supervisor Jordy Tupper and updating the family, the board of directors and vendors involved. This week, we ordered the products needed to pour the foundation from White Cap. They gave us a very nice discount, which we appreciate so much. Those products will be delivered on Wednesday the 11th. The foundation should be poured by Coblentz Construction the week of June 16th. I want to thank Dennis Coblentz in advance for the hours he and his crew will spend onsite in this Carolina heat. I know Tom at Concrete on Demand is just waiting to pull that huge concrete truck onto the lot. Southway Plumbing is scheduled to be onsite on Monday, June 16th. They are working with Ferguson to cover all of the plumbing needs. Jerry at Southway and Wade at Ferguson have been great to work with! 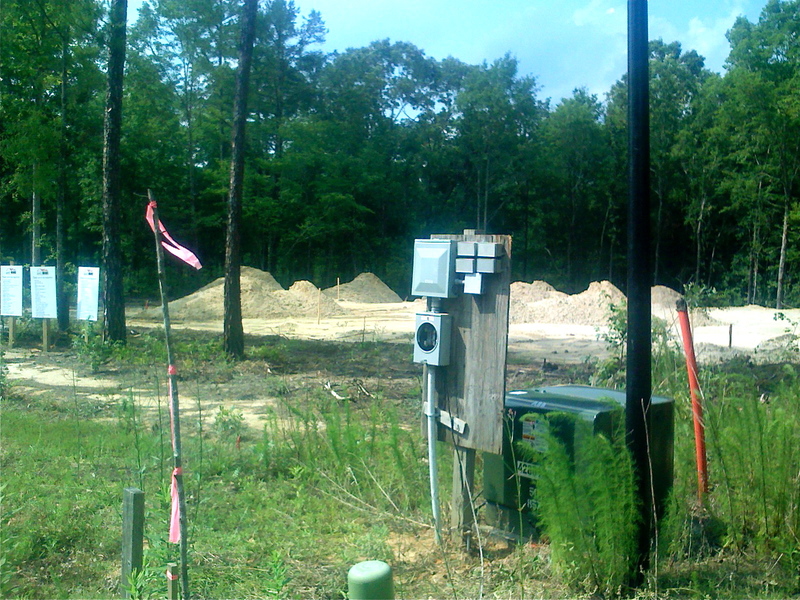 Temporary power through SCE&G is being installed today at the home site and that means our live video feed will be working shortly. A portable toilet is being dropped off on Monday. Thank you to Nature’s Calling for providing it free of charge. We are wrapping up the kitchen plans with Welcom and Whirlpool. What a fun process picking out cabinetry and appliances that Carol can use with ease. The Armstrongs are going to have a beautiful kitchen that Carol will have full-access in. I’ll post the pictures of what the kitchen will look as soon as I receive them. SCE&G is scheduled to connect power on Thursday, June 5th. Once this is done we should be able to get the live webcam installed (hopefully by the weekend). It’s just about time to get “Carol’s Home” framed out and I wanted to take this opportunity to thank all of the people involved in this process. All of our plumbing needs were met by Ferguson and Southway Plumbing and electrical was handled by EDC. It takes quite a bit of wood to frame a 2,500 sq ft. house. We found the products we needed from the nice folks who work for Pro-Build, Buck Lumber, Universal Forest Products and Simpson Strong-Tie. Once we have all the supplies onsite, it’s the team over at Schumacher Homes that will do the manual labor of nailing, lifting and framing the Armstrong’s dream house. This project is close to the heart of Cameron Powell of Schumacher Homes, who knows Carol and her family personally. Schumacher was one of the very first companies to get on board with the project. The Home Builders Association cannot thank our Carol’s Home volunteers enough. We understand that in this fickle market, participating in this project is a sacrifice for every participating CTHBA member. 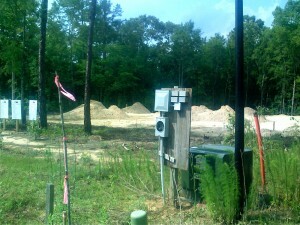 We are getting a live web-cam on the Carol’s Home site soon, so make sure you check out our website www.charlestonhomebuilders.org to keep up with the project.